Scentre Group was created through the demerger of Westfield Group, to become the owner and operator of Westfield in Australia and New Zealand. With the pre-eminent portfolio of shopping centres in the region, Scentre Group manage around $51B in real estate assets, and own over $36B of the total portfolio. Every aspect of its 39-centres is managed in-house; from design and construction to leasing and retail solutions, asset management, customer experience and marketing. When Scentre Group chose to engage TAP in late 2015, business performance was strong, however the retail environment and shopper expectations were evolving fast and Scentre Group needed to position itself at the forefront of those expectations in order to secure strong performance for shareholders into the future. Scentre Group’s stated focus for transforming the business was twofold; increasing internal alignment and driving an external focus to reshape the organisation around their customers. Early on it became clear that while team members were very committed to their shared purpose of “Creating extraordinary places connecting and enriching communities” and their “DNA” values, there was little precision when it came to the strategy to reach those aspirations. This insight led to intensive work on a 3-year strategy for the business, which was summarised as a “Plan on a Page”; a tool that made it much easier to engage front line staff and align goals from top to bottom. We then developed a compelling story of the future together, sent powerful symbols, worked with leaders to align team structures, and re-designed key meetings to increase effectiveness. Strategic initiatives were established to improve engagement with joint venture partners, partnering with retailers, in-centre service to customers, increase digital capabilities and to promote innovation. Another initiative focused on ensuring a diverse and inclusive workforce that reflected the communities in which Scentre Group operates. We then established a Program Management Office to support the execution of these initiatives and accelerate resourcing decisions. Leadership alignment has been a central focus of our partnership, starting with Directors and then the General Managers. Data was gathered to identify where each leader was making a constructive impact, and where they were inhibiting the performance of the business. Intensive coaching and peer alignment enabled each leader to make the shifts required to have a better impact. 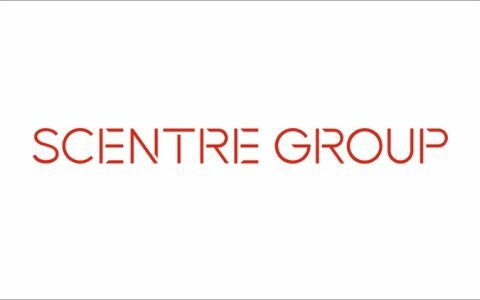 A recent remeasure of leadership effectiveness has evidenced a 38% increase for Scentre Group’s General Manager population, following on from similar increases at Director level. Employee Engagement now stands at 88%, exceeding global benchmarks. In 12 months, the extent to which leaders empower employees to achieve company goals is up from 74% to 81%, and the percentage of staff who would recommend Scentre Group as a great place to work has increased from 79% to 86%. Business initiatives have yielded significant benefits for retailers and customers, with new processes in place to track and improve on metrics such as reputation and satisfaction. Data and insights are leveraged to curate an innovative mix of shopping, dining and entertainment offerings. The old centre management structure and mindset are being transformed by vibrant customer experience teams. Since the establishment of Scentre Group in 2014, the Group has grown the value of its property portfolio by more that 30%. In 2017, each of the 39 centres owned by the Group increased in value, which was a unique achievement in the industry. The company’s strategic focus of redirecting capital into higher performing assets has resulted in 16 of their 34 Australian centres ranking in the Top 25 by annual sales. Today, Scentre Group has eight of the top ten centres in Australia, and four of the top five in New Zealand.